Australian label Lack of Color's 'Sunnydip' boater is, as the label says, "designed for the sunshine." 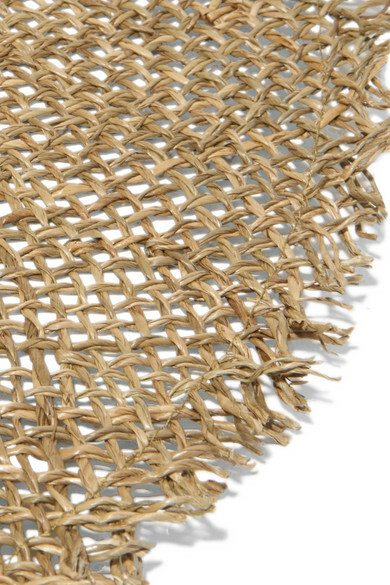 Woven from natural straw with a wide brim, it's ideal for protecting your face from the sun wherever you're on vacation. Style yours with floaty dresses or swimwear. Shown here with: Faithfull The Brand Dress, Nannacay Tote, Ancient Greek Sandals Sandals, Sophie Buhai Earrings, Monica Vinader Necklace, Alighieri Necklace.